Remember my commentary on this article in the Sunday Star Tribune last week? I had an opportunity to talk to the author of this article on Thursday. It's funny how you think you can know someone's mind by what they write. It's funny how what you write can come across very differently than you intended. The next article in the series is going to focus on restraint and seclusion laws in Minnesota. He talked with me for 45 minutes about personal stories he's collected showing misuse of money and how children with disabilities are neglected and mistreated. He asked me a lot of questions about the boys and their experiences in school. A little part of me is wary of the article to come out of this. In the first article, he interviewed a mother in a Maplewood school district whose son has had lots of trouble finding support and education due to his severe behavior disabilities. Instead of showing how the system failed this boy, the article seemed to show how this boy severely taxed the system and drained it of resources potentially for other kids and other programs. It was very much "look how much money and time was spent on this one kid," and not "look how the school district wasted time and funding building a seclusion room for this boy, rather than training their staff." There's a fine line, by the way, between a seclusion room and a cage. Why do we cage animals? To keep them from getting away and hurting people. Why do we put people with behavior challenges in seclusion rooms? I don't want to get too controversial or political, but think about it. A seclusion room is supposed to be a place for a child to unwind and recover from hyperstimulation and overwhelming sensory needs. If you were afraid of public speaking, and when forced to do so, you fainted, should you be punished for that? Of course not. You're nervous and fainting is an involuntary reaction. You didn't faint on purpose. Compare this to when a child is punished, or restrained, or forced into seclusion, for defending himself against something he found to be personally terrifying. Train the staff and learn about what leads to the undesired behavior and how to keep it from starting up in the first place. There was one comment on another article this week that I wholeheartedly agreed with. Both articles last week mentioned that Minnesota is entitled to federal education funding that we don't get. The question to ask schools and legislators is, why aren't we getting the federal funding we are entitled to? Last Friday I wrote to John Kline to ask him that very question. He's the Representative of Minnesota's 2nd District, which includes all of the south Metro as well as much of rural southern Minnesota, and he happens to be the Chairman of the Education and Workforce Committee. It's his job to see that we get those funds. It's so, so easy to write him a quick note. Here's the link. Tell him your name and address, so he knows you are someone who lives in his district and one who can vote for him, or against him. Tell him you read in the Star Tribune articles about how our schools don't get the federal funding we should. Minnesota has been a leader in education for years. If we have money problems, we should start by making sure we're getting paid all that we deserve, right? I was disturbed by the fact that people who know next to nothing about the public school system put that paper down last Sunday and walked away with a sense that kids with disabilities are taking away from their kids. A negative view of kids with disabilities and a negative view of the special education system. You might wonder why I'm getting all fired up about this. It's not because Zack and AJ have had bad experiences at school. It's not because we don't get the therapy or education they need and are entitled to. It's not because they've been restrained or secluded (they haven't). 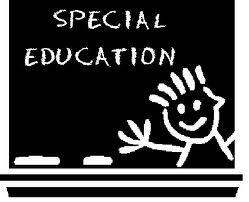 On the contrary, our special education experience has been exceptional. But I know we are a small, small part of a big system that needs some overhauling. I know we are lucky right now, and it may not be that way through their whole school career, and it isn't that way for so many others kids in Minnesota. And I know that the behaviors that get kids in other schools dangerously restrained exist in my boys. Like they say in real estate, location is everything. We are in District 191, and the staff is trained and prepared for those kinds of behaviors from their students. They have appropriate responses lined out in Behavior Support Plans for kids who need extra guidance in safe and proper behavior. Thank God we aren't somewhere else. Location, location, location. If the author of that article is reading this, you have an awesome opportunity here with this series, to educate people. The public is listening, judging from the number of comments online. Use this power for good. Show people where the need for change is, without placing blame on the kids with disabilities. And when you refer to people with disabilities, use that language - people with disabilities. Children with disabilities. Don't say "disabled children" or "autistic children." They are children first. People first.